Cameron was meaning to taunt Europe’s Social Democratic parties, rubbing in the fact that they lack the power to implement the types of programs they’d prefer. But insults aside, it’s clearly not true that Keynesianism has fled the scene amidst the ongoing European financial crisis—it’s just that its greatest champion is based in Washington DC, at the International Monetary Fund. On multiple occasions over the past two years, it forced Europe into taking action, strong-arming Germany into designing bailouts. The IMF has made plenty of enemies, especially in Frankfurt, but it has also managed to help, for now, to forestall catastrophe. If the IMF seems an unlikely voice for more spending and larger bailouts in Europe, it’s with good reason: The Fund has justly earned a reputation in recent years as a standard bearer of austerity, a fiscal physician primarily interested in leveraging Western power to prescribe budget discipline to emerging economies. But rather than a betrayal of its mandate, the IMF’s current full-throated advocacy for Keynesianism in the developed world is actually a return to its origins. Indeed, when John Maynard Keynes and Harry Dexter White met at Bretton Woods, New Hampshire in 1944 to design postwar economic institutions, including the IMF, European debt was the major global issue. The planners already knew that the European economies would owe massive debts to the U.S. after the war. And Keynes, the author of a book about Germany’s post-World War I economy, was very aware of the dangers of a festering debt. As a result, Keynes and White designed the Fund to lend extensively to Europe. Between 1944 and 1977, most advanced economies—including France, Italy, the United Kingdom, Denmark, Canada, even Japan—availed themselves of IMF resources. In its early years, the Fund fully embraced the Keynesian economic worldview. A document from the U.S. Treasury Department in 1944— “Questions and Answers on the International Monetary Fund”—put this in especially stark relief: “Attaining and maintaining a high level of employment and real income…must be the primary objective of economic policy.” It’s a passage that could have been taken directly from Keynes’s General Theory. This was a far cry from the austerity-minded “Washington Consensus” that the Fund was almost uniformly peddling by 1990. There are two chief reasons for that drastic shift away from Keynesianism. First, in the late 70s, the laissez-faire Chicago School took the U.S. economics profession by storm: Keynesians were not only displaced at universities, but also in the halls of the IMF. Secondly, financial globalization freed the rich economies from the need for IMF money. All of a sudden, emerging economies were the IMF’s chief debtors, and the West was less inclined to be generous. As the Fund slid from Keynesian flexibility to Chicago orthodoxy, major crises hit Latin America in the 1980’s, Mexico again in 1994 and 95, the Asian Tigers in 1997, and Russia, Brazil, Argentina, and Turkey over the succeeding five years. Jacob Kirkegaard, a senior researcher at the Peterson Institute, tells me that the Chicago School “was the right idea at the right time. The crises that hit the global economy in the 1980’s really were fiscal in nature.” In 1982, Mexico did need to cut spending. But the IMF grew too attached to one particular brand of medicine: Budget austerity became such a by-word that the IMF earned the sobriquet It’s Mostly Fiscal. “No matter what the situation,” Kirkegaard says, “the IMF said the same thing: ‘Cut the budget.’” As a result, IMF bailouts earned a stigma throughout much of the world. 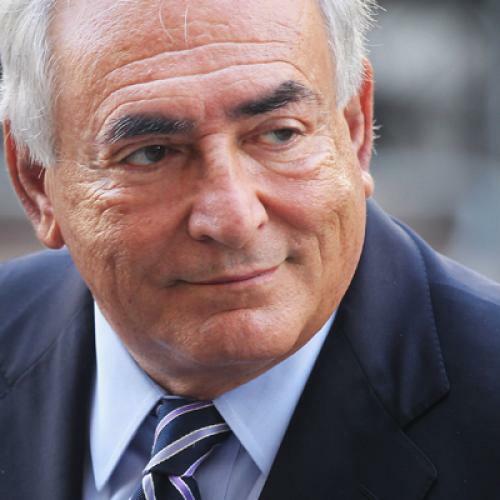 The fund did indeed have a potent weapon in Strauss-Kahn’s charm and political skill. But that skill had its limits. As Kirkegaard told me, “In the eyes of the Bundesbank [the German central bank], Strauss-Kahn is a French socialist, and not to be trusted.” Hence the importance of the fund’s other weapon: the research department’s timely intellectual interventions. In a February 2010 position paper, IMF chief economist Olivier Blanchard argued that central banks could prevent future crises by targeting a higher rate of inflation. The recommendation—with its implicit criticism of ECB tight money—infuriated German central bankers at the ECB and the Bundesbank. In one memo, leaked to the press, a contemptuous Bundesbank economist even dubbed the IMF the “Inflation Maximizing Fund”. In November 2010, a second IMF paper managed to hit orthodoxy even harder. In the paper, titled “Will It Hurt? Macroeconomic Effects of Fiscal Consolidation” —the “it” in question was budgetary austerity—the IMF researchers showed empirically that fiscal contraction usually leads to GDP contraction. “That article exploded the expansionary fiscal consolidation myth,” claims Kirkegaard. But Germany has largely confined the IMF’s influence to Europe’s periphery, rather than following its advice on the major crisis management questions. The result has been harsh austerity measures across the continent—and a crisis that has only gotten worse. The British government is now actively planning for a contingency once thought unthinkable—the dissolution of the Euro. There’s only so much the Fund can do on its own: It simply does not have the money to prevent this kind of vast catastrophe from happening (although leaders are looking for ways to augment the Fund’s resources ahead of the next EU summit on December 9). But if there’s one thing the European crisis has proven it’s that the IMF can no longer be accused of not having the right ideas. Jarad Vary is an intern at The New Republic.